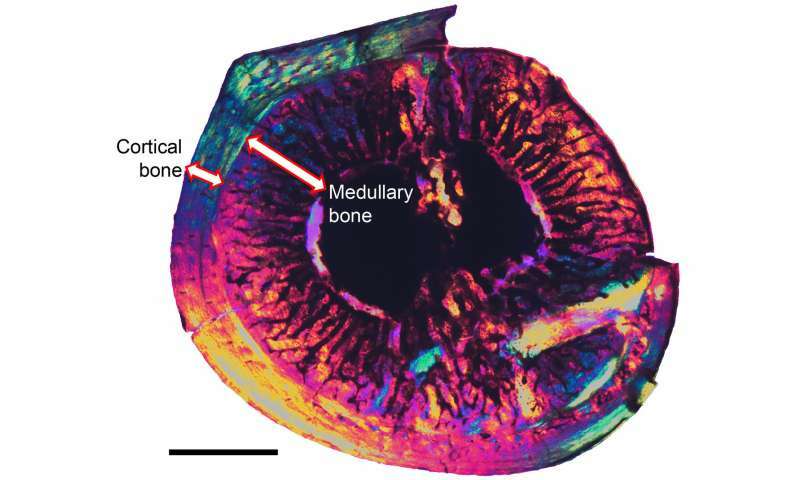 Medullary bone is a bone tissue unique to birds today. It is present only in females about to lay eggs and forms in the empty spaces within the skeleton. This bone tissue serves as a reservoir for calcium needed to form the eggshell.Medullary bone has been reported in a variety of non-avian dinosaurs including Tyrannosaurus rex, ornithopod dinosaurs like Tenontosaurus, and several sauropods (huge long-necked dinosaurs) including Mussasaurus. 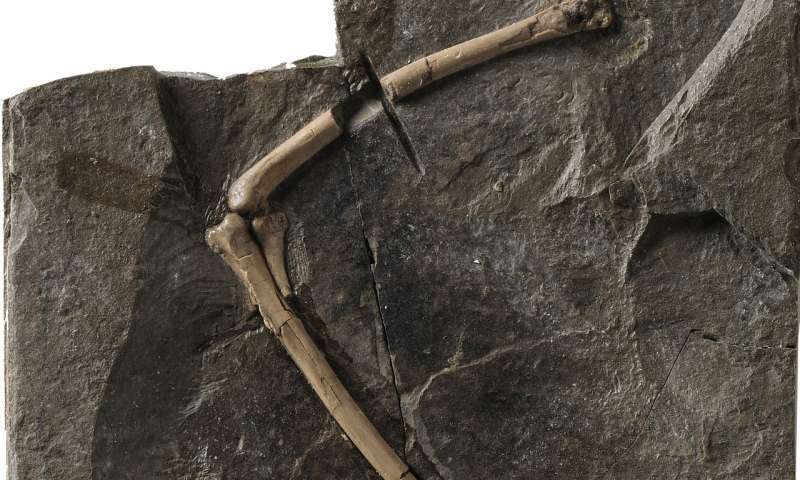 It has also been identified in pterosaurs, which are flying reptiles closely related to dinosaurs.